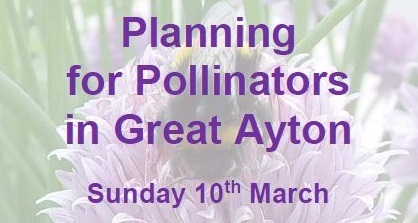 Where: Meet on High Green, Great Ayton at 2pm. Join Martin Allen, an expert local botanist, on a free walk along the High Street in Great Ayton to help plan how we can make the village more attractive for people and pollinators. The walk and talk along the High Street to Low Green will last about an hour with an optional extension along Guisborough Road to Camp Corner and back down Newton Road. Funded by North Yorkshire County Council’s Stronger Communities Programme with support from Great Ayton Parish Council and Brighten Up Great Ayton group.